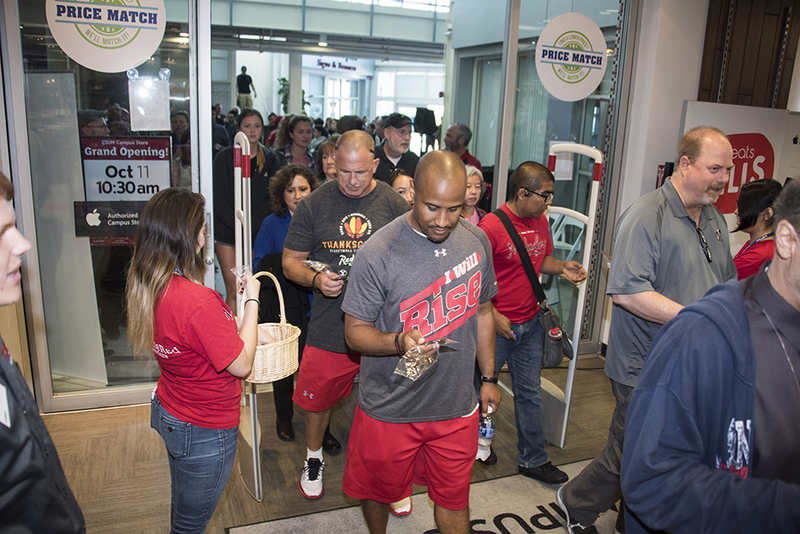 California State University, Northridge celebrated the grand opening of the new Campus Store with refreshments, a ribbon cutting and a fashion show on Oct. 11. 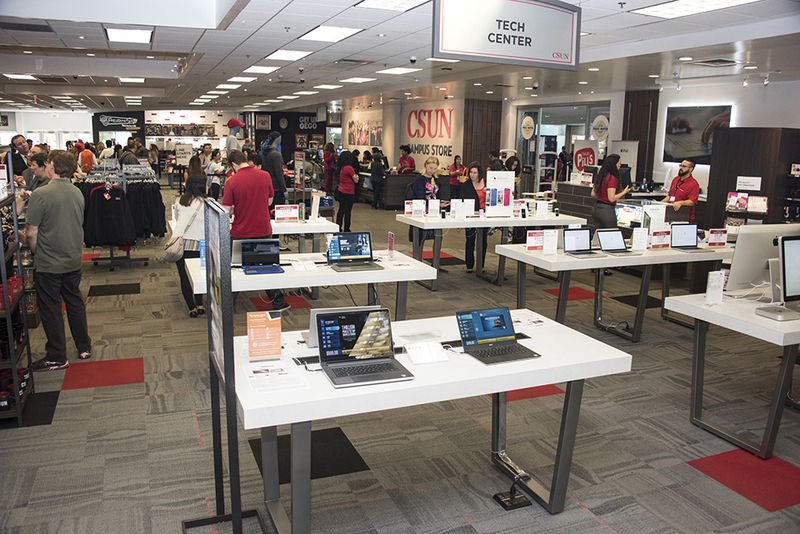 The new CSUN Campus Store, previously the Matador Bookstore, was remodeled to incorporate additional services and an updated look. 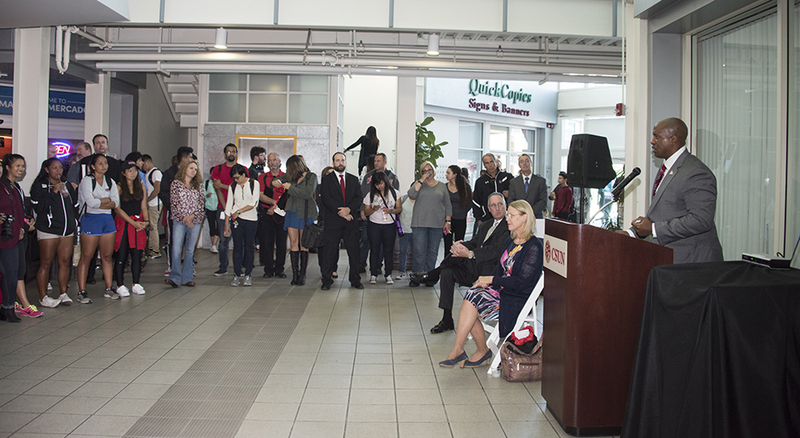 “Today we celebrate a model of partnership, a model of collaboration, a model of alliance between athletics, The University Corporation and Follett,” said CSUN Athletic Director Brandon E. Martin during the ceremony preceding the ribbon cutting. 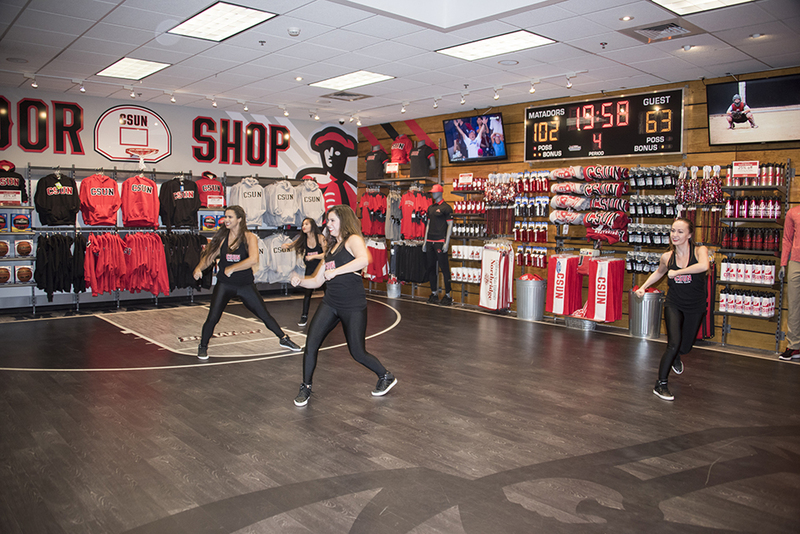 CSUN student-athletes modeled gear in the new Matador Shop, which highlights athletics with a replica blacktop, scoreboard and hoop like the ones in The Matadome. 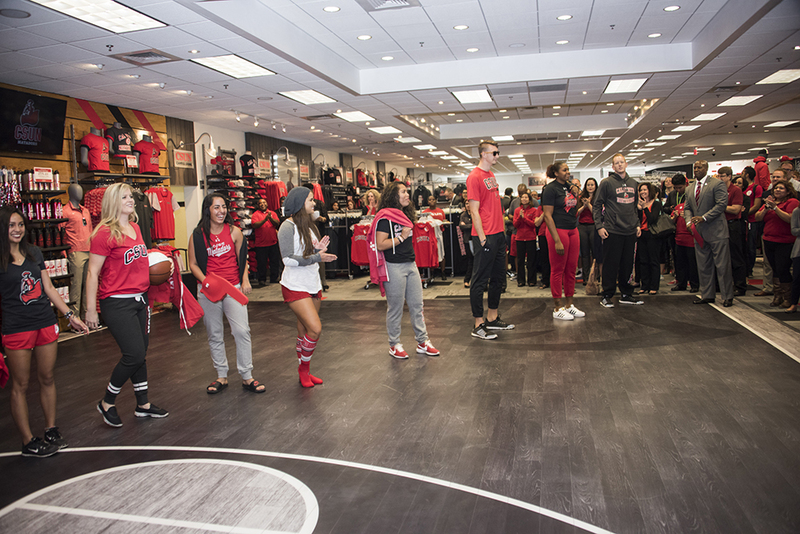 The shop features CSUN-branded UnderArmor gear, fan items and mini pom-poms. 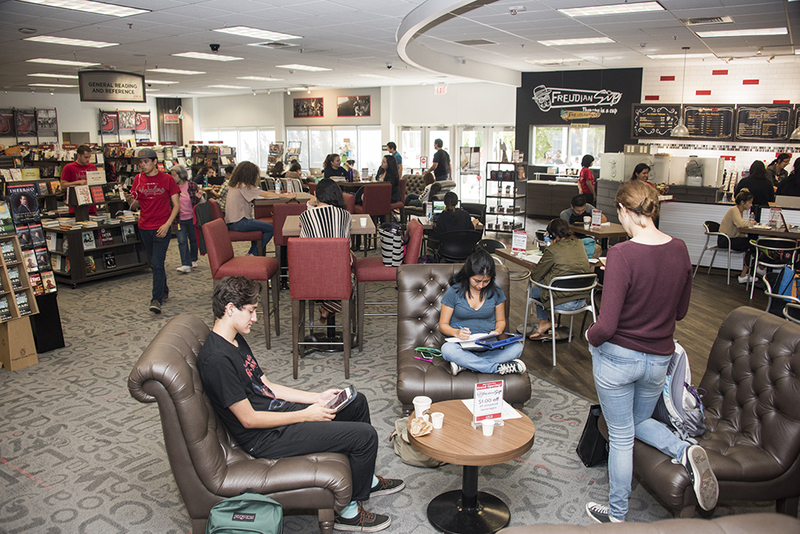 The five-week remodel included everything from new fixtures, art, carpeting, and a brand-new technology repair center said CSUN Campus Store Director Amy Berger. 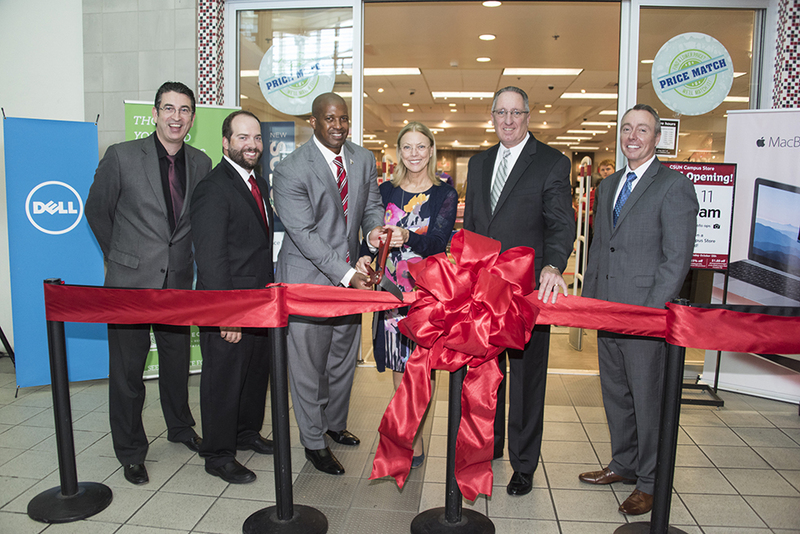 Though the store celebrated its grand reopening in October, the remodel was completed over the summer, she said. The store’s Freudian Sip also received a complete makeover. The new decor was modeled after what Freud’s office might have looked like in the 1930s, with dark walls, red and white tiles, and oversized chairs. The wall that once separated the store from the coffee shop was removed and additional tables were added, allowing for a more social atmosphere, Berger said. 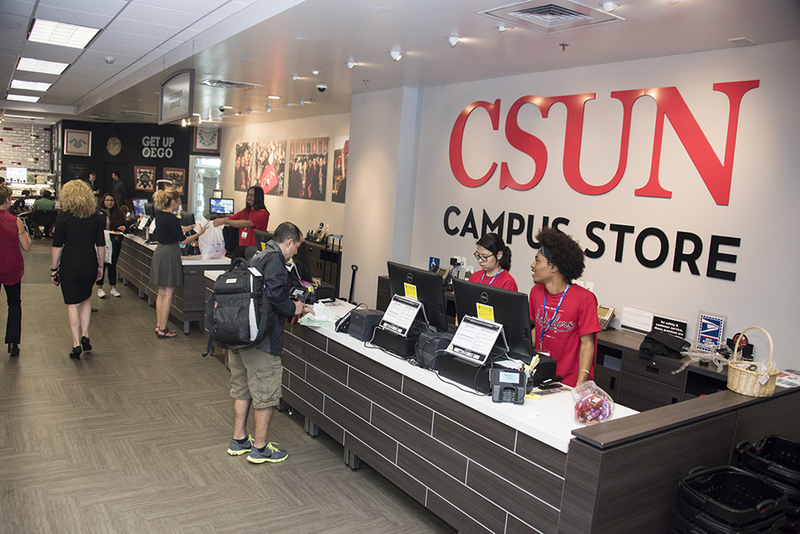 The CSUN Campus Store is located in the Matador Bookstore Complex on Sierra Walk. For more information and store hours, visit http://www.bkstr.com/csunorthridgestore/home.